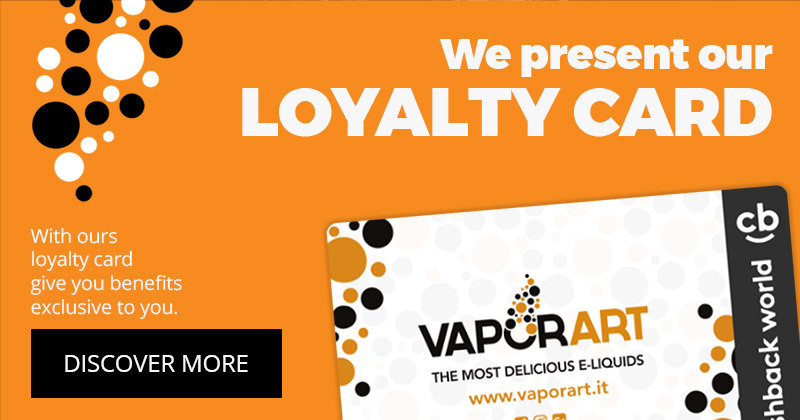 Vaporart is a manufacturer of flavoured e-liquids for personal vaporizers (ex e-cig). The study process of new flavours, production and packaging are carried out entirely in Italy. The company has its own production site in Cremosano (CR), where all processes are certified "ISO9001", in compliance with the most stringent quality controls. Our warehouse and logistics are in Albairate (MI), the administrative offices are located in the city centre of Milan, while the commercial division, which also includes the call center, is located in Biella, Piedmont. Since the beginning of its activities, Vaporart has paid great attention to the quality of raw materials, all of pharmaceutical grade with FU and EP certification. Our goal is to provide a product of unmatched quality and flavour, while maintaining the highest levels of the industry standards. Vaporart respects the TPD European legislation both for packaging and the characteristics of its liquids. All our liquids are produced, tested and packaged exclusively in Italy (100% made in Italy). Our team of experts creates and tests every single aroma selecting only ingredients of very high quality and exclusively of pharmaceutical grade purity with European Pharmaceutical Certification. Every bottle is made to meet the highest standards of quality. When you buy a VaporArt e-liquid, you are trying the best. Simply because e-liquids are our passion. Vaporart has an advanced logistics structure that allows us to minimize the delivery times. Normally we can deliver both to private customers and our dealers within 48 hours from the processing of the order. If you want to stay updated on all news, say "hello" or read the latest news about the vape world, you can find us on social networks. There's Facebook, on which we have a page for Vaporart, VaporArtists, Ultra Pop, Seven Wonders, Valkiria and Delixia. Here you will find all the descriptions of our e-juices, the latest news about regulations, the news about the most important fairs, the reviews of our e-liquids and so on. On Instagram you'll find Vaporart and Seven Wonders, where you can look at our photos and those of our followers. You can follow us and begin to publish your pics with our e-juices. And finally, last but not least, there's Google+, where you will find all the albums of our events. Come and visit us in our virtual squares: click the link above and, of course... follow us! DON’T MISS OUT ON OUR LATEST NEWS!